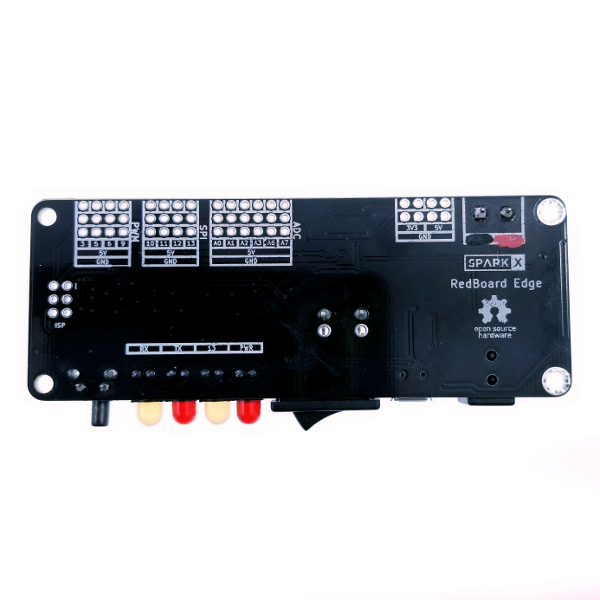 The RedBoard Edge is a remix of the SparkFun RedBoard designed to be panel mounted in your custom project enclosure. It has all of the features that the standard RedBoard has – plus a few extras – but the layout's been shifted around so that everything is accessible from the edge of the board. Along one side is everything "user facing" – the power and reset buttons, status LEDs, barrel jack, and USB connector. Along the other side is everything "project facing" – the GPIO headers, Qwiic connectors and power headers. 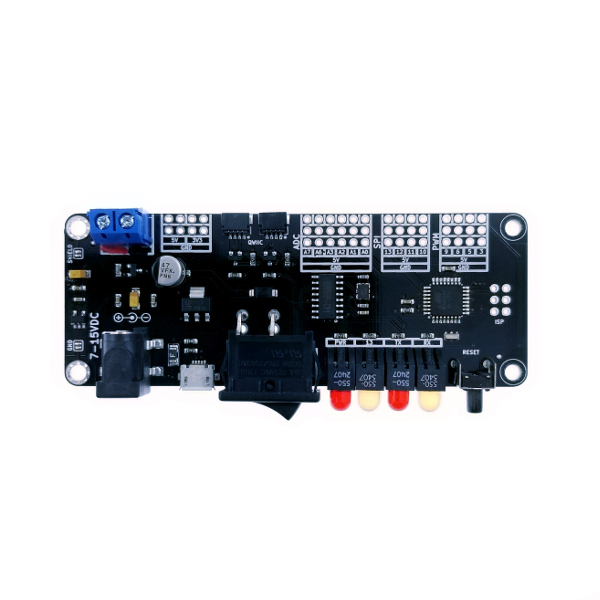 The GPIO is organized into three groups by capability – PWM, SPI, and ADC – along with 5V and GND rails. 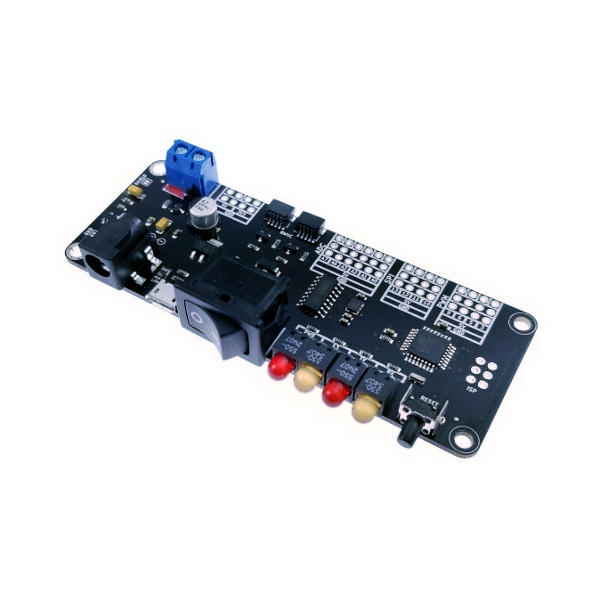 There's also a 4-pin power header with 3.3V and 5V outputs as well as a 5mm 2-pin screw terminal which is connected to VIN through the beefy rocker switch on the front. 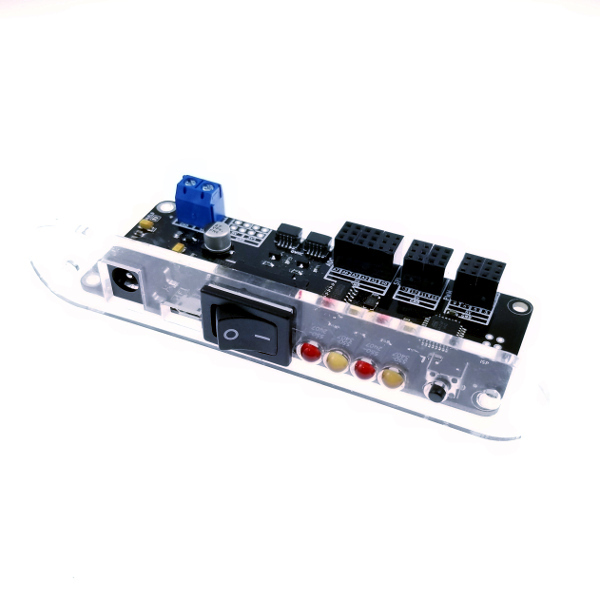 The rocker switch is mounted flush to the board edge but an alternate footprint is also available so you can desolder it and scoot it up a few millimeters, making it possible to panel mount the switch. If you want to mount the board using standoffs, there are four mounting holes sized for 4-40 machine screws. Two of the mounting holes are plated-through for chassis grounding, which is selectable by solder jumper. The shield of the USB micro-b connector can also be connected to the chassis with a separate solder jumper. Board - 4 x 1.5"
Standoff Holes ⊕ - 1.25 x 3.75"
Are these being made anymore? 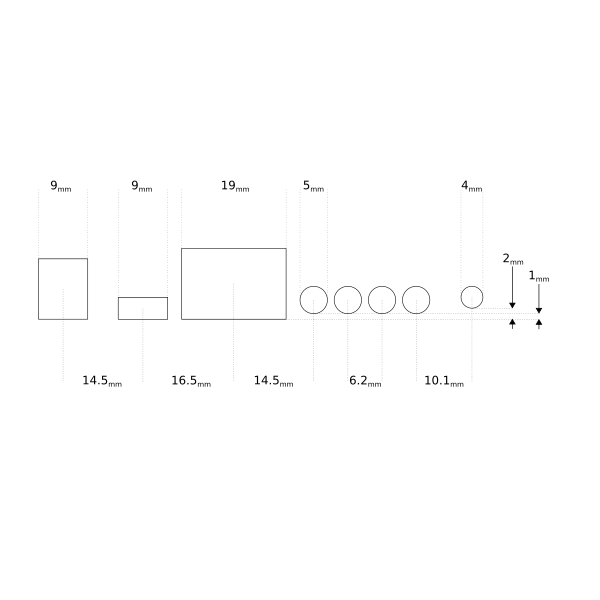 Check out the "Panel Mount Layout" file and see if that's what you're looking for. It's in svg format, it's the file I used to laser cut the panel in the photo.